'Surrealism: The Poetry of Dreams' is a landmark exhibition of surrealist works from the Musée national d'art moderne, Centre Pompidou, Paris. It presents more than 180 works by 56 artists from the Pompidou's unrivalled collection, including paintings, sculptures, 'surrealist objects', films, photographs, drawings and collages. 'The Poetry of Dreams' features artworks that rarely leave Paris and is a fascinating overview of this important artistic movement. 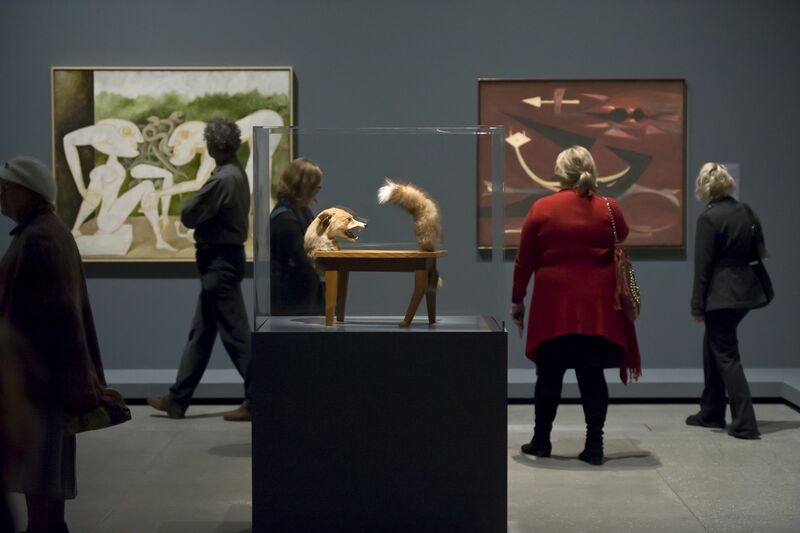 The exhibition presents a historical overview of Surrealism, charting its evolution from Dada experiments in painting, photography and film, through the metaphysical questioning and exploration of the subconscious in the paintings of Giorgio De Chirico and Max Ernst; to the readymade objects of Marcel Duchamp and Man Ray's photographs. The movement's development is explored through the writings of Surrealism's founder André Breton and key early works by André Masson. Also included is a remarkable selection of paintings and sculptures by Salvador Dali, Rene Magritte, Victor Brauner, Joan Miró, Alberto Giacometti, Max Ernst and Paul Delvaux. Film and photography are represented by works from Luis Buñuel and Salvador Dalí, René Clair, Man Ray, Hans Bellmer, Brassaï, Claude Cahun, Dora Maar, Eli Lotar and Jacques-André Boiffard. Major works by Jackson Pollock, Arshile Gorky and Joseph Cornell show the breadth of Surrealism's influence.